, we naturally ask the question what is it and for what is this? You have a lot of great snapshots and want to create your own Internet photo gallery what you need for this is GalleryAdmin Flash Templates. The GalleryAdmin flash templates simplifies online photo gallery creation and management for many different professional art workers and hobbyists. Think about family and friends photograph gallery? Find your amazing snap shots on a safe place also promote them all with your colleagues. 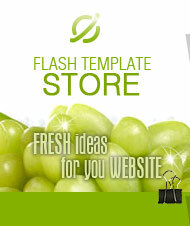 Anniversaries, vacations, annual vacation and other things you will be able to place to your web based gallery applying GalleryAdmin Flash Template! The design template is described as "GalleryAdmin" because it's introduced with Administration User Interface to get it painless and snug picture placement procedure manipulation.Be sure it truly is astonishingly uncomplicated to organize your website gallery - basically try to create the actual category you want, as an example "Our Kids" and put in appropriate snap shots in that particular category. Start the other category and include any other images . . . . When you finish set up of your web template on your host (the actual installation procedure is amazingly quick and usually requires only a moment in time and it does not require php MyAdmin plus Mysql support) you can actually attach your imagery in appropriate categories. You'll be able to add more or delete whichever graphic as well as category. You should watch there. While having installation progression you will want to set biggest dimensions of your shots and also thumbnails. If the sizes of your graphics is bigger versus proportions that has been sellected at some stage in installation, the system will certainly notify you regarding dimensions inadequacy and will never insert this shot in the category. Thus, you don't need to keep worrying about the design of your gallery website. It's very similar to "spell check" process. 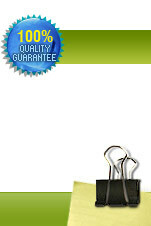 Your web gallery will usually appear perfect and pictures constantly in position. PLEASE LOCATE HERE DETAILED SETUP INSTRUCTION !